Our aid stations are manned by the best volunteers in the area. Most are trail and ultra-runners themselves and anticipate your every need - even before you know you need it. Pumpkin Holler Hunnerd wouldn't be possible without the help of great volunteers. Sign up for a shift at our registration website. Don't worry if you are new to the volunteer scene. You'll be working alongside and learning from the best of the best. We have shifts available Friday through Sunday. We have shifts that are good for families. We have shifts for people looking for a free cross-fit workout. We have shifts that are good for sitting in the woods to ponder the meaning of life. At the Pumpkin Holler Hunnerd, aid stations are much more than water and food along the side of the trail. 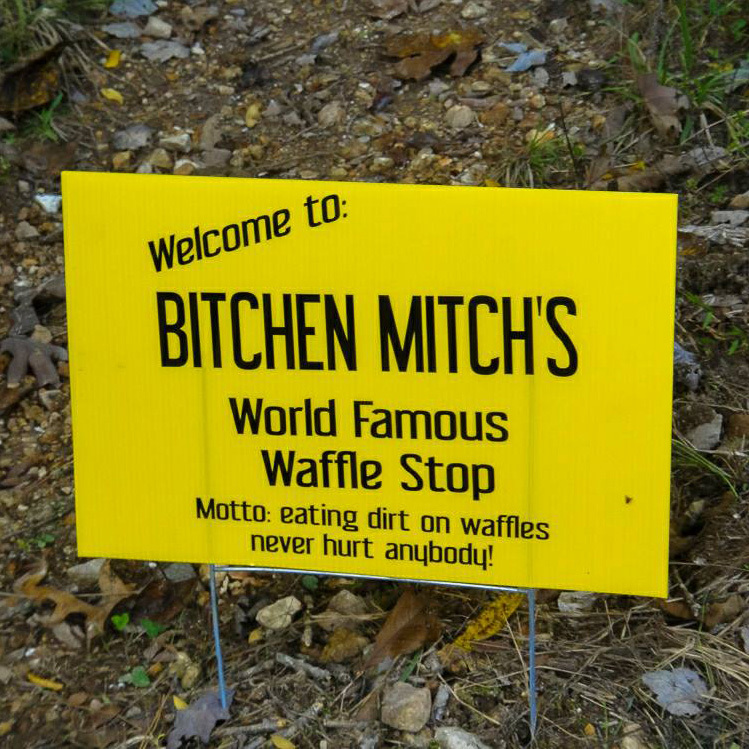 Each of our aid stations have developed a unique personality. 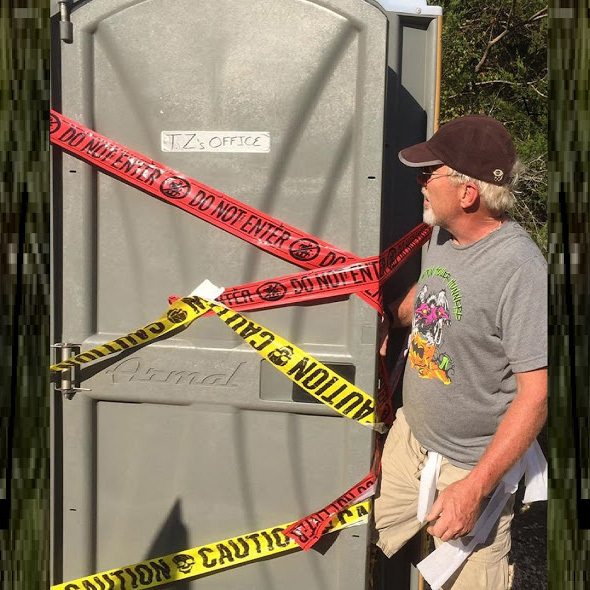 In many cases our aid stations create memories for a life time. 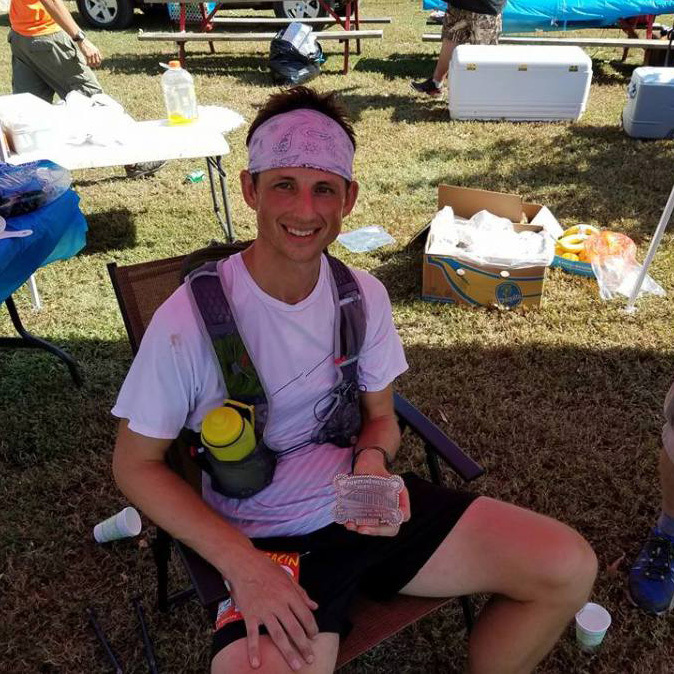 Here are a few of our favorite memories and profiles of our aid station workers. Now, spend some time in October getting to know them personally. 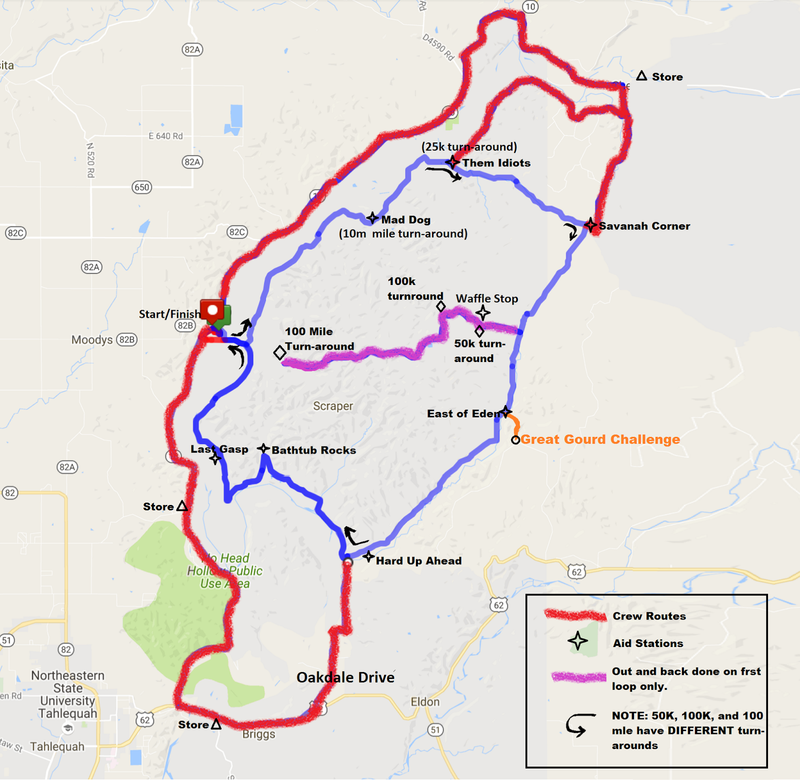 Aid station locations and driving directions can be found on the course map . One hundred and thirty five miles. Thats a really long way. And thats the best way I can describe it without using expletives. But I did it. With all sorts of help, with decimated legs, with about half of a functioning brain, with no time to spare, through the grace of God. This race is a game changer for me. Not only is it a big step up in distance, but it was a true odyssey. I learned so much about myself that I can apply both in ultras and elsewhere. But lets rub all that glow off for a second and just acknowledge that it was also three dozen hours of absolute torture. I hate the grind. I love the grind. 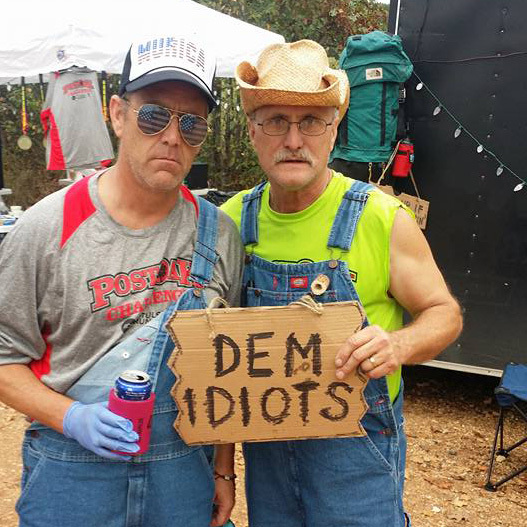 'Dem Idiots showed up at Pumpkin Holler to help. Yet, drank more than the runners.